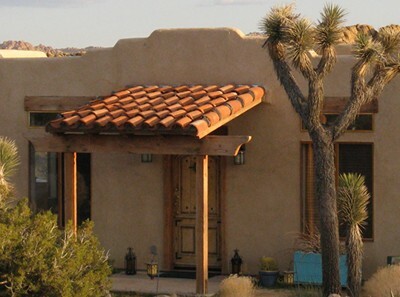 "Staying at the casita 'High Desert Eden' was an experience like no other. Forget fancy hotels; none of them can provide what Robin and Max can! 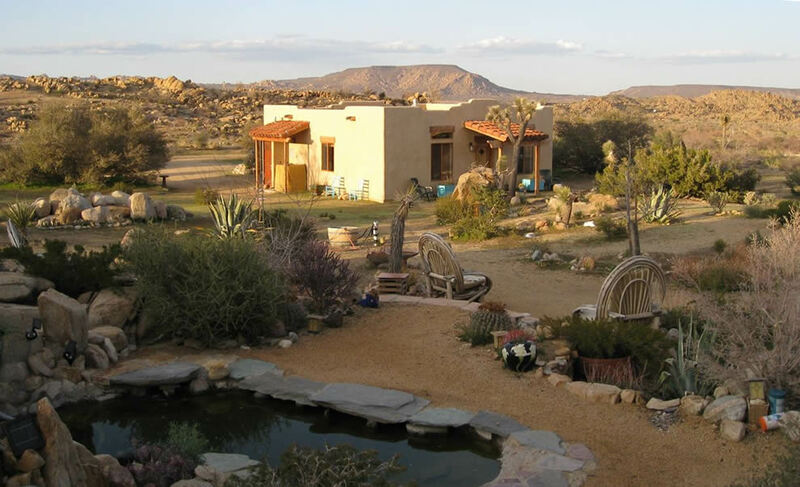 Which is: a beautiful, comfortable PRIVATE home to stay in, tastefully furnished and with every amenity one could want; an ASTOUNDINGLY beautiful location away from everything; the wind, the moon and stars, critters galore and a galaxy of desert flora and fauna. 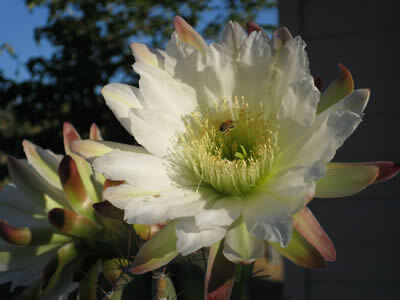 Imagine waking up to gentle breezes, birds singing . and nothing else. No "human" made sounds of any kind. What nirvana!" "Live in Luxury in the Middle of a Wildlife Sanctuary!" Amidst spectacular vistas at 4,400 feet and nestled in the foothills of the Big Bear Mountains is the undiscovered gem called Pipes Canyon. 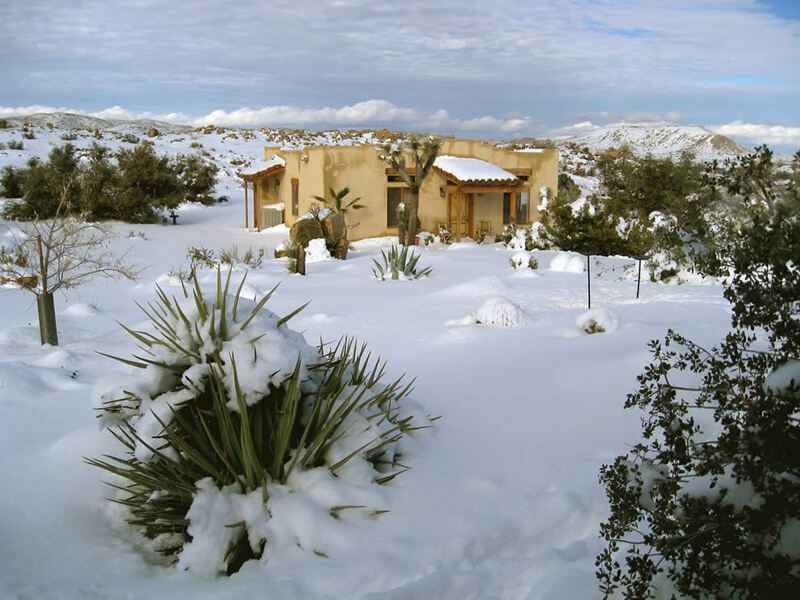 Just minutes from historic PIONEERTOWN and adjoining 33,000 acres of Wildlands Conservancy, our gorgeous solar and wind-powered Southwest casita is a refuge of quiet serenity. 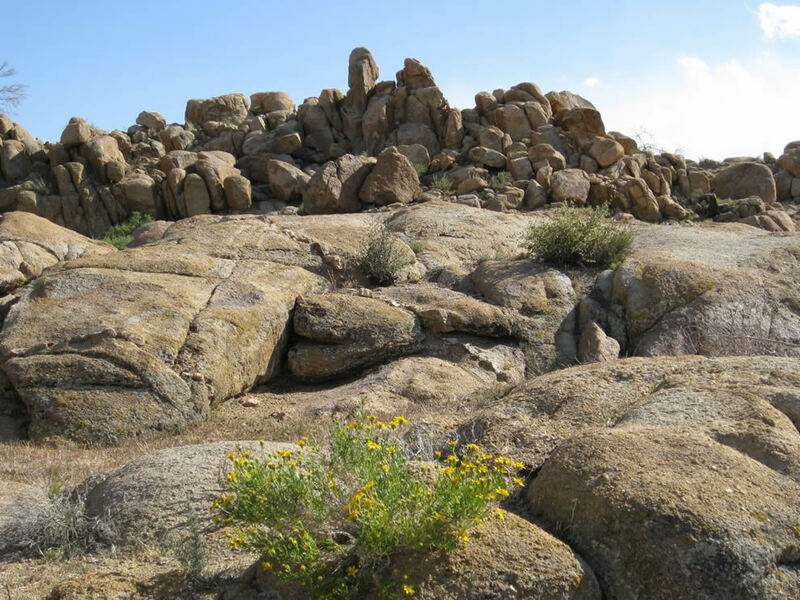 High Desert Eden's 22 acres is surrounded by a panorama of rare flat-topped mesas, jagged peaks and giant boulders. 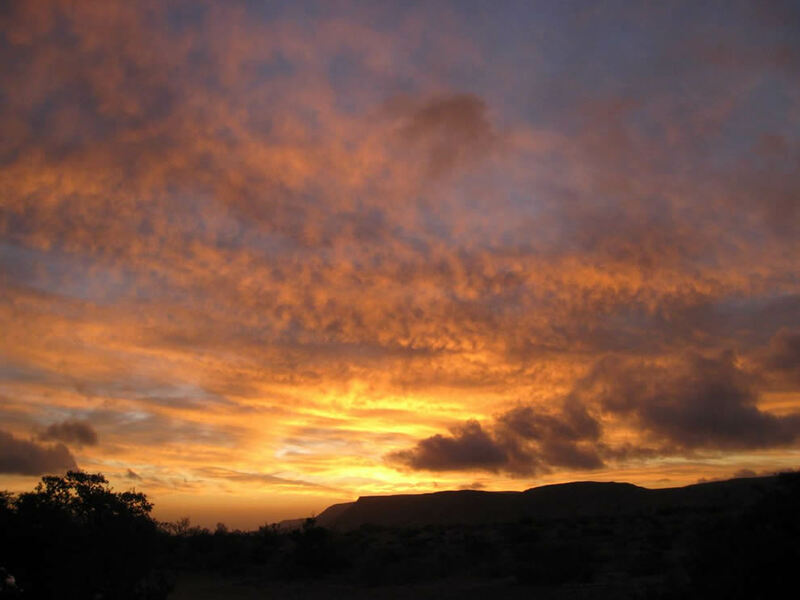 It delights the senses with breathtaking sunrises and sunsets, and the Milky Way on display virtually every night. We enjoy four seasons here, each with its own distinct pleasures; spring with its unmatched wildflower bloom; summer (20 degrees cooler than Palm Springs, 10 degrees cooler than Joshua Tree) with maximum greenery and balmy, star-filled nights; autumn's crisp days and changing colors; and snow for a fantasy winter holiday. 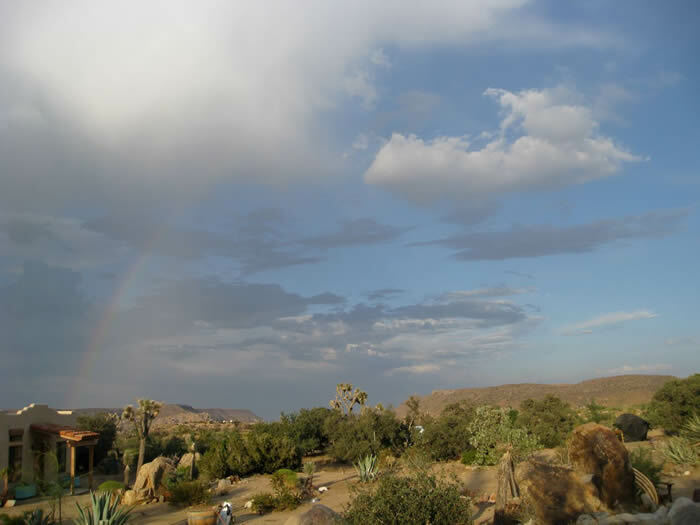 We are located 2 hours east of Los Angeles and a convenient, scenic 45-minute drive from Palm Springs International Airport. Here you can create the vacation of your dreams - a solitary respite to write or reflect in perfect peace and quiet; a romantic lovers getaway; or a rejuvenating PRIVATE YOGA RETREAT customized to your personal needs with renowned yoga master Max Thomas. There's a great library of fiction, nature, human anatomy, off-grid and healthy living books and magazines, as well as eclectic spiritual, philosophy and yoga titles for times you want to lie on a comfy couch or under a shady tree and just READ. The remarkable biodiversity of bird, animal, and plantlife here in Pipes Canyon is the result of an overlapping between the ecosystems of the Sororan and Mojave Deserts, and are unmatched anywhere in the California high desert. 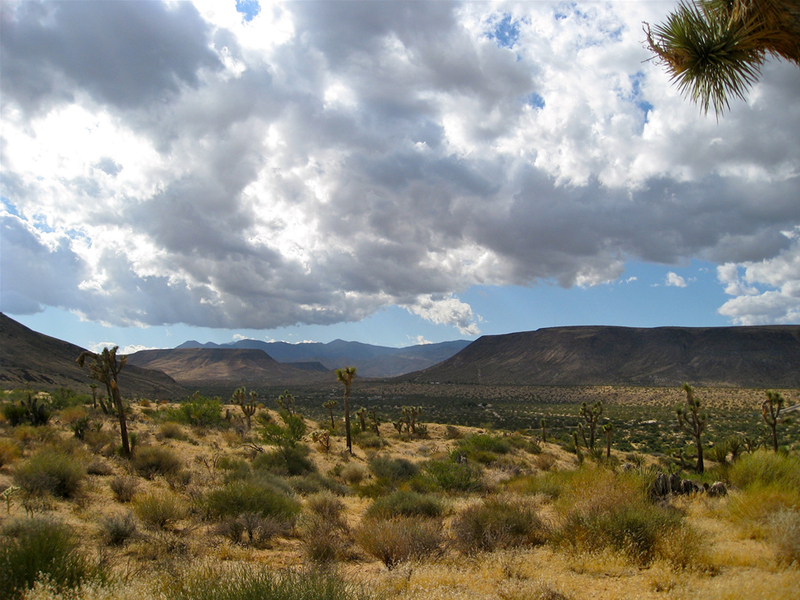 A birdwatcher's haven, you can count on seeing and listening to quail, hawks, golden eagles, jays, cactus wrens, doves, roadrunners and hummingbirds (to name just a few) in the ancient scrub oaks, yuccas, junipers and joshua trees surrounding the casita. Or you can catch a glimpse of the cottontail and jack rabbits, coyotes, kit foxes and bobcats that are frequent visitors to this veritable wildlife sanctuary. Here's some of the wildlife you can view right out your window or from the screened porch. 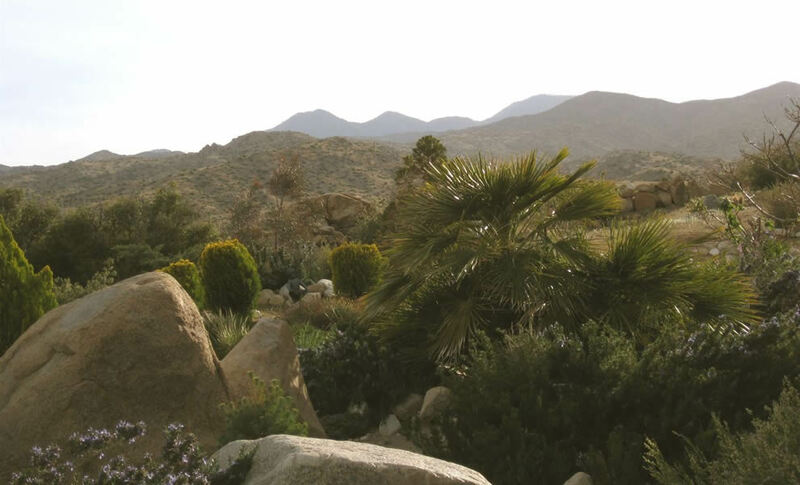 If you make yoga a part of your High Desert Eden getaway, you will enjoy the most delightful, tailor-made experience of your life. With 35 years of yogic wisdom at his command, Max Thomas offers his own eclectic and non-dogmatic style of yoga to everyone from raw beginners to seasoned practitioners. You can choose gentle, restorative sessions to promote healing from injuries or illness, basic to more complex breath work, or learn how to use "Yoga as Preventive Medicine." Yoginis and yogis might wish to take energetic classes, to refine or redesign their current practice...or even create a personal practice from the ground up. And there is no one better than Max at just "playing yoga" with kids from 9-90.